Carol Heilman (b. 1943). Carol and her sister, Bonnie Rae Guthrie Stratton were raised in several coal mining camps of eastern Kentucky, including Arjay and Turkey Pen. She is the daughter of Charles I. Guthrie (1918 - 2011) and Edith Hopper (1919 - 2013). She attended Elkhorn High School in Frankfort, Kentucky where she met a farmer's son, Bob. They became high school sweethearts and married in 1963. She graduated from the University of Kentucky where she earned her degree in Early Childhood Education. When Bob joined the Army they moved from Kentucky to Texas eventually settling in Columbia, South Carolina where they raised two children, Sarah and David. When her children were young, Carol did not continue teaching, but continued to have a love of books, especially children's books, which she instilled in her children. She and Bob were both involved in many charitable organizations in the Midlands of South Carolina. In the early 1990's Carol's love of writing took off, beginning with capturing her father and mother's life stories, from growing up to running the coal mines. Her mother often said, "We no longer have any secrets." 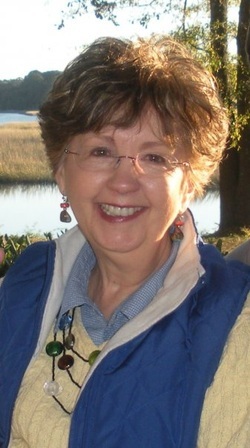 Her first novel, Agnes Hopper Shakes Up Sweetbriar, The Adventures of Agnes Hopper Series (Lighthouse Publishing of the Carolinas) was published in January of 2015. Agnes Hopper Bets On Murder followed in April of 2018. Carol enjoys spending time with her grandchildren on both the east and west coasts, cooking good southern food, reading, hiking and travel. She has been a member of several writing groups and enjoys bringing the enjoyment of writing to others, at any stage of their life. She now lives in the low country of South Carolina with visits to the mountains of North Carolina.